I study alchemy. 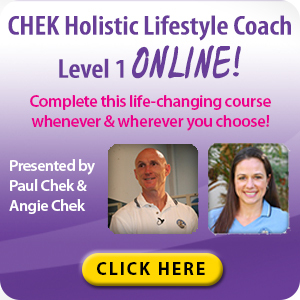 In fact, I’m more of an alchemist than anything else and I’ve developed a system called CHEK Life Process Alchemy, which our students get introduced to in CHEK Holistic Lifestyle Coach (HLC) 2. If you’re wondering what kind of things you’ll learn, going from HLC 1 to HLC 2, you’ll get a brief snapshot in this week’s video. 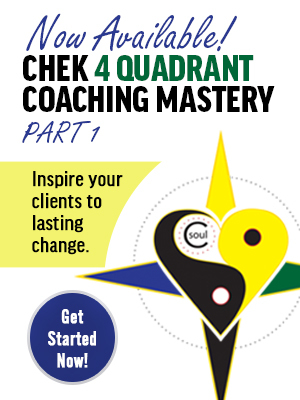 And, of course, if you are already a CHEK HLC student, you’ll get an expansion of your HLC training into my CHEK Life Process Alchemy! Before I get started, I wanted to announce that I’ll be teaching the first workshop I’ve done specifically about my CHEK Life Process Alchemy system on Oct. 23-24 in San Diego, at the 30th annual Pacific Symposium, organized by the Pacific College of Oriental Medicine. 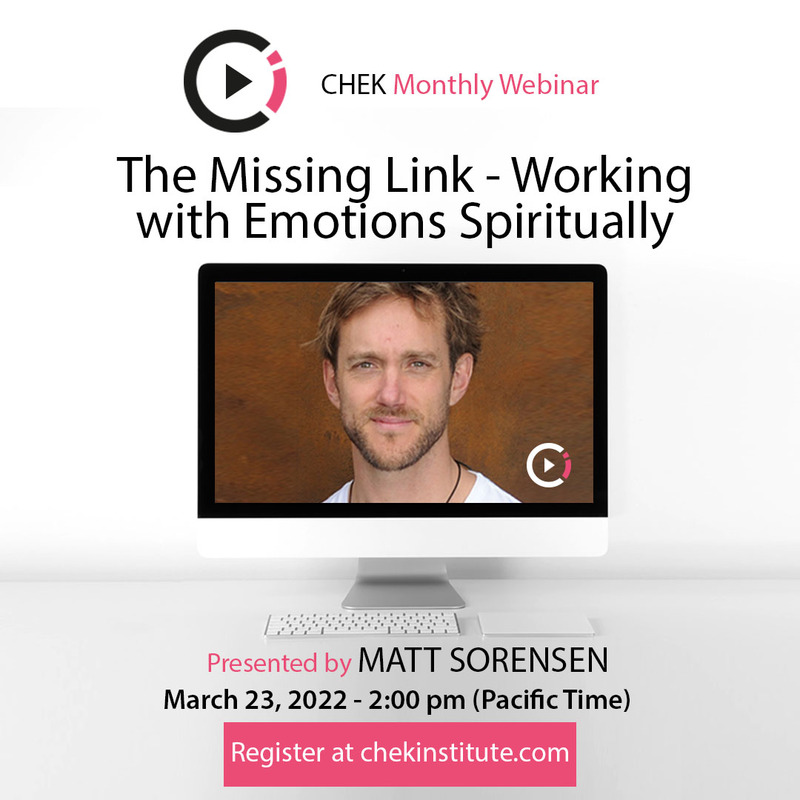 During those two days, I’ll present a very intensive and comprehensive look at the CHEK Life Process Alchemy system and show you how to use it to get to the real core issues of what drives people’s emotional, behavioral and physical health problems. Also, I’m going to be the keynote speaker on Friday night at the Symposium, which will be held at the Catamaran Hotel on the Bay in San Diego Oct. 25-30. For more information about attending the Pacific Symposium or watching the various presentations via live online streaming, read more about schedules and how to register here. After the Symposium, I’ll be offering a mastery group if we have enough people interested in intensive, deep training that would go beyond even what we teach currently in the HLC program. Stay tuned for more information on that in a later blog. Metabolism encompasses the processes inside our bodies that produce the necessary energy for them to run on, and it generates warmth from the body too. Putting it very simply, without a metabolism, you’re dead. Getting back to this week’s headline, I included fire because the ancient alchemists said, first and foremost, that fire is very, very important. Alchemy grew into what we now call chemistry and alchemists were actually the world’s first psychologists (although some could rightfully claim that Buddha was the first psychologist). For me, Carl Jung is the one who really broke the code of alchemy and showed that it was actually a very comprehensive practice of spiritual development. In his work, he showed how alchemists saw their mental or psychic states being mirrored back to them in their chemical processes and experiments in their laboratories. Most of what we see in past books about alchemy is actually very heavily coded information about spiritual development. Unfortunately, alchemists had to do that because, back in the Middle Ages and Dark Ages, they were burned at the stake for blasphemy when talking about what they were really doing. Alchemists tended to refer to the fire they used to do all their experiments and transformations as a child that needed to be constantly tended to. Why? The human body has about 30 billion biochemical reactions happening a second, all of which are water-dependent and most of which are temperature-sensitive, which is why we have a body temperature that needs to hover fairly close to 98.6. If it goes much lower than that, you start becoming what’s called hypothyroid. That means you have some kind of metabolic problem or disease process. And, when your body is fighting off an infection or an invasive organism, your temperature rises. Most of you have been sick and felt these waves of sensations where you get really hot then really cold. This one of the pumping actions that I’ll show you in my video that relates to rhythm, pressure and flow in the body. In alchemy, you are usually doing experiments in some sort of a vessel, like a chalice or beaker. For our purposes here, we can think of it as a pot in which we are mixing all of the ingredients. The pot represents the body and you are both the pot and the person in it and you’re the fire underneath it in this symbolic expression. Also, fire has to have air and something from the earth such as wood to burn or it won’t ignite. For the human body, the fuel for our metabolic fire relates to food, air and water. Imagine that you are the churn, the pot, the person in the pot and the person protecting the fire. Now, notice the clouds of steam. The word chi, if you look it up in a Chinese dictionary, means steam. So, when we’re talking about chi, we’re talking about life force. Steam is produced by the interaction of the earth, water, fire and air. Steam is air with water molecules in it and fire in the outside is represented by the sun. You have to have earth, water, fire and air to make steam. The life force that alchemists referred to as the quintessence or the fifth element is the product of how we manage the marriage of earth, water, fire and air inside of our bodies. When you mix those elements in the right proportions, you get life-force energy. But that’s not all. That management extends to our environment, because a lot of what lives in it gets inside of us. From there, I use my 4 Doctors model to show you the basics of tending to your metabolism, so you’ll better understand why fire is the warmth system and what our body does behind the scenes to generate heat. The video goes into much greater detail into each of these variables, and I encourage you to watch it in its entirety. There’s a lot to absorb this time, and it gets pretty deep. If you want to know more, you can start by reviewing my books, How to Eat, Move and Be Healthy and The Last 4 Doctors You’ll Ever Need. Both books will give you much of the basics you’ll need to get started. But, if you want know A LOT MORE, consider my HLC program, starting with HLC 1, then to HLC 2 where we dive deeper into the topics I discuss in this video. Now you know you have a child inside of you and children need lots of love and attention to be healthy and happy. You are the Mama and Papa of that child fire, so I hope you’ll pay better attention to your rest, to your mind, to what you’re doing with your body, how you’re moving, how you’re feeding yourself and the chemistry that you’re putting in there. I hope you’re not taking silly shortcuts because the greedy medical system is waiting for you to keep pumping money into them by buying into drugs and “cures” that never work. Most of them are quick fixes stemming from the side effects of ignorance, silliness. The most important thing you have to do is love yourself. If you don’t, at the end of the day, what have you really got?